﻿ What Is The Most Useless Skill In Old School Runescape? What Is The Most Useless Skill In Old School Runescape? Wow, do we have a debatable blog post for your today! Look, we know that you may be mesmerized by our latest offers on OSRS Gold. But today we wanted to have a little fun. 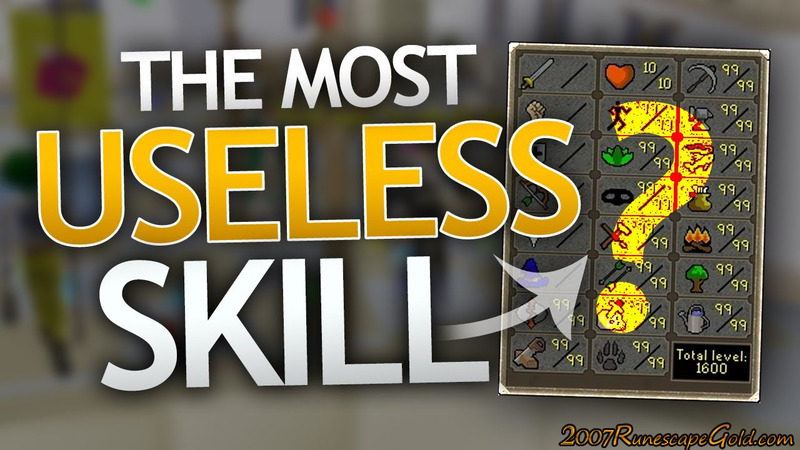 Around the 2007RunescapeGold.com office, we asked, what is the most useless skill in OSRS? Now this question, of course, has no right answer as what I find useless you might find useful. But after the 2007RunescapeGold office debate (which got pretty heated) we came to this decision. The most useless skill in Old School Runescape is… Firemaking. Who actually sets out to get 99 firemaking and more importantly why would you want to? Who is going to spend hours and hours just burning logs which is boring as hell to get to level 99? How often do you really need to make fires? Most of us just make them here and there every now and again and only when it is necessary. So yes firemaking does have a point to it and there are sometimes you do have to start a fire, but do you ever think "man I wish I had 99 firemaking"
This, of course, is just for fun, but we would love to know if there is any skill in Old School Runescape that makes you wonder, who on earth is ever going to true and level 99 this? Let us know in the comments section down below what you feel is a pretty pointless and useless skill and be sure to take advantage of our Cheap Old School Runescape Gold.